An ache. A painful trajectory. The transformation of pleasure into loss. Sheesh, surviving your 20s is rough. But what’s fascinating is that, despite some thematic similarities, each of these writers has a distinct voice; these works make for interesting reading companions. 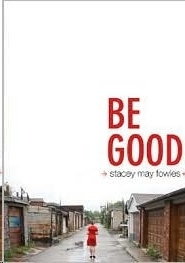 Voice is at the heart of Stacey May Fowles’ first novel. Not simply the novelist’s voice, but the narrative voice, the kaleidoscopic voices of Morgan, Hannah, Estella, Mr. Templeton, Jacob, Finn, Montreal, and Toronto. The reader’s challenge is clear: somewhere between or around these statements is something like truth. But how to decipher that — amidst outright contradictions — is perhaps more than challenging: it might be impossible. If the reader cannot trust the wordsmith, who does the reader trust. How do we assemble meaning? And not just as the reader, not just on the page, but how do we understand the world around us, the people who inhabit it, when we are not sure what is trustworthy? Do we try to take pieces of truth and assemble them into something larger? Is it like the decorations in the Maple Leaf Motel, the” water fowl taxidermy, hockey sticks and red plaid flannel” that, together, comprise the “worst kind of Canadian iconography”, a nation of fragments on display? Or do we try to look for intersections? In the words of Mr. Templeton, “This is the truth I learned from Morgan, the truth she told over and over again. We are all animals. We tell lies because we are hungry and want only to eat.” Do we start with the larger, the commonalities, and try to work inward? If, within the world that Stacey May Fowles creates, it’s less about what is true and more about what a particular character believes is true, then perhaps, with Be Good, it is less about what the authorial voice suggests is true and more what a given reader believes is true. The prismatic effect of this novel is such that readers will need to turn the final pages to begin to feel their way towards a clear image. The process might be frustrating or fascinating, depending on how comfortable you are with being uncomfortable, on whether you are willing to take the ache with those fleeting pleasurable moments, on whether you’re willing to accept that “all the gain will merely become a loss in the end”. Reading Companions: Maureen Medved’s The Tracey Fragments (1998); Sheila Heti’s The Middle Stories (2002); Charlotte Gill’s Ladykiller (2005).